Ile Danse: festival of Mediterranean Dance. Winegrowers festival: organized by the Winegrowers Union, Ajaccio. Fête des Agrumes de Bastelicaccia. L'édition 2015 des Agrumes en Fête se déroulera les 25 et 26 Février 2017 à la salle des fêtes de Bastelicaccia. The most famous ones are at Bonifacio and the Catenacciu in Sartène. 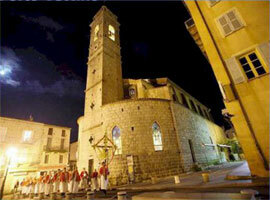 The Holy Week is also celebrated in: Calvi, Corte, Erbalunga, the Castagniccia and Bastia. U Svegliu Calvese - A Filetta , Calvi. Tel: 04 94 65 23 57. The most famous of the Good Friday processions. A shackled penitent, wearing a cowl and carrying a cross, walks a steeply sloping route through the town, symbolising the stations on the cross. Only the parish priest knows the penitent's identity. à travers le village, et symbolise la montée du Christ au calvaire. 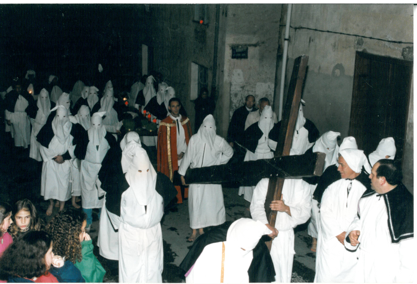 The brothers of the orders of Saint Antoine and Erasmus, dressed as cowled, barefooted penitents, march in procession through the town and into the citadel courtyard. A Granitula, a symbolic, penitential procession, describing a coiling and uncoiling spiral, is repeated at various points along the route. Each brotherhood carries relics and statues of the Saints sculpted on wooden shrines in the Baroque style which are lit with torches and lanterns. Traditional chants and pagan rituals enhance the mystical feature of these processions. Cowled penitents process through the streets of the Citadel. 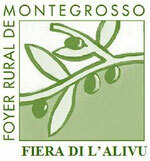 This fair takes place at Piedricroce at Easter selling local products. Tel: 04 95 35 81 26. South Corsican wines and cheeses are offered for tasting and sale on the second sunday in april each year on Cauro's village square. Brocciu fans can watch cooking demonstrations and enjoy a smorgasbord of pastries and prepared dishes. Tradition oblige, la merendella en Castagniccia pour le week end de Pâques est devenue un rituel. Chaque année, une foire est organisée au village de Piedicroce. Producteurs de charcuterie, de fromages, couteliers, créateurs de bijoux et autres artisans… seront ravis de vous dévoiler leurs différents produits. Le dimanche de Pâques, la messe est célébrée en langue corse. Merendella in Castagniccia for the Easter weekend has become a ritual. Every year a fair is organized at the village of Piedicroce . Charcuterie producers , cheeses, knife makers , jewelry designers and other craftsmen ... will be delighted to unveil their various products . On Easter Sunday , Mass is celebrated in Corsican language . 6 and 7 April 2019 at Sainte-Lucie de Tallano. Tel: 04 95 78 80 13. Foire traditionnelle corse très ancienne qui se déroule sur la commune de Castellare di Casinca, sur le parvis de l'église St Pancrace. Pour l'édition 2019, on se retrouve du 10 au 12 mai ! Nautival: festival with sea as theme, at the end of May in Macinaggio. Tel: 04 95 35 40 35. Artisanal and pastoral fairs being held in the valley of Gravona, the village of Ucciani. Firework teams will take it in turns to set the sky alight over Calvi. This event is a celebration of all aspects of the sea, providing the central theme for the participating sailors, craftsmen, collectors, painters, photographers, authors, etc. Nautival is held at the marina, with shows(e.g.balls, concerts, etc. ), taster courses in water sports and marine leisure pursuits, conferences and exhibitions, plus tasting sessions, walks along the "customs officers' trail" and boat trips. The celebration is rounded off by a boat blessing ceremony and a torchlit procession in honour of the Virgin Mary. This unsual event brings together the educational, business, industrial, sporting and cultural worlds around the Central theme of the sea. Festimare takes place on Place Paoli in the town centre, with activities including: -Fun, educational children's workshops on various themes linked to the sea; - Debates and conferences, exhibitions and maritime leisure activities (regattas, gatherings of yachts and vintage rigged vessels, diving courses, etc..)over the three days of the festival. A Fiera di u mare: Solenzara et la Foire de la mer. Blessing of fishing boats, 2nd of June in Ajaccio, Bastia and Calvi. For the last few years, an association formed by the town's fishermen has organised two days of Saint Erasmus festivities, the highlight being a feast of grilled freshly caught fish served against the picturesque backdrop of the "Tino Rossi" marina located at the foot of Ajaccio's citadel. 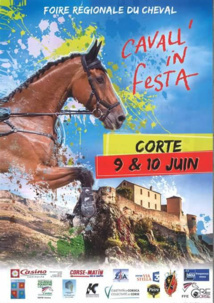 As the regional horse-fair, Cavall'in Festa is an unmissable event for the equestrian and farming communities. Riding shows and demonstrations, children's activities, horse rides, traps and carriages, trick riding and dressage naturally all feature on the programme. Presentation and sale of equines. Every year, a day of cultural exchanges is organised for the feast of Saint John, focusing on traditional Corsican poetry and music. Corte's 15th century citadel and the Musée de la Corse museum provide and outstanding setting for this special day, wich will continue late into the night at the Sermanu centre of traditional music. Kyrnéa Jump: a competition in Bastelicaccia (near Ajaccio), with the participation of the most reputed horsemen. Tel: 04 95 22 28 35. Raid nature aventure: canoe, mountain bike, climbing, sailing, in Ajaccio for youngsters in the age from 14 - 18. Notre foire a pour but de faire connaître notre passion pour la chasse et la pêche. The aim of our fair is to show our passion for hunting and fishing. With Pigna as the focal point, the picturesque villages of Balagne play host to the various evening performances of the Estivoce festival. Singers from Corsica and across the world accompany teathre and dance performances. This is a celebration of song down the ages and through changing musical tastes. The Cap Corse region has a strong wine-growing tradition, and the reputation of certain vineyards extends beyond the region's borders. Winegrowers from every region of the island invite the public to taste fragant whites, rosés, reds and muscats at this fair. Visitors will also find a range of authentic craft products and foodstuffs. 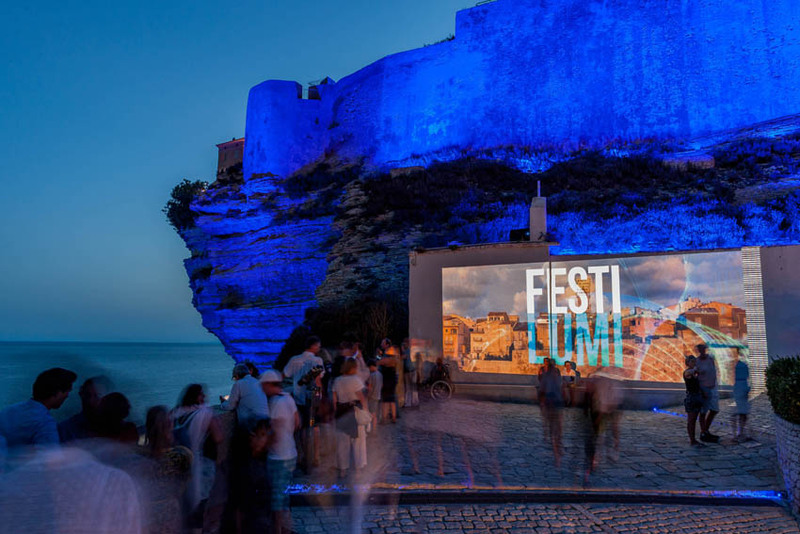 Depuis plusieurs années, Bonifacio propose l’un des événements les plus importants et éblouissants de la saison touristique : FESTI LUMI, festival où le patrimoine bonifacien se révèle autrement. Nous vous donnons rendez-vous début juillet pour un programme autour d’une valorisation originale et audacieuse du patrimoine de Bonifacio. We invite you to come early July for a program around an original and bold valorization of the heritage of Bonifacio. Historical spectacles recalling the arrival of the Genoese governor in Bastia, capital of the Kingdom of Corsica. The new governor is accomodated with the old port and passes through the streets of the old town to the square where the keep stands. The Governor is then invested with the outgoing official's authority. A demonstration of flag twirling and drumming accompanies the 150-strong procession, and there are impressive spectacles in the Vieux Port and on the Place du Donjon. Every year mid july , the "Fiera die l'Alivu" attracts almost 10.000 visitors to a splendid olive grove on the slopes of Monte Grosso. The olive tree fair views itself as a celebration of local heritage, and offers a relaxed mix of exhibitions, meetings with artists, a children's fete and a delicious array of the flavours, aromas and colours. The fair is one of only 100 sites to have been awarded the title "Site remarquable du goût" by France's culinary arts council. This traditional rural fair is held on the Col du Pratu (last weekend of July) , on the road into Castagniccia, a rural area with a strong regional identity. The fair includes cattle shows and a produce exhibition. The cultural aspect is enhanced by Paghjelle and Chjami è Rispondi (sung oral jousting) competitions and polyphonic singing. 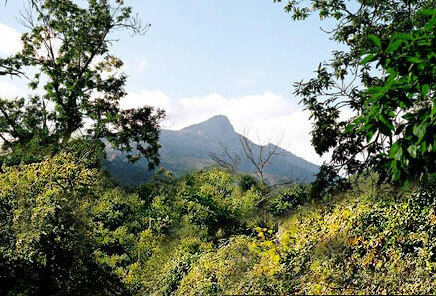 Grand raid inter-lacs: mountain running race around the most beautiful lakes at Corte. Tel: 04 95 46 12 48. Méditéranean trophy: sailing competition; departure and arrival takes place in Corsica. Tel: 04 95 23 89 00. The unusual feature of this event, staged in Patrimonio's marvellous open air theatre, is that it hosts an electic line-up of guitar virtuosos. For the last 25 years, these Guitar Nights have blues, flamenco, gipsy, rock, tzigane, tango...and classical music. Summer in Ajaccio: festival of music and dance, at the end of July and beginning of August. Tel: 04 95 50 40 80. Festa di u Mare: cultural and sporting events on the theme of the sea at Santa Severa, Marina of Luri. Tel: 04 95 35 0644. Craft fair exclusively for produce having a regional identity. Over the two days, numerous activities are on offer for visitors, including guided tours of various sites in the region, a sculpture competition, Chjami è rispondi (traditional oral jousting), a treasure hunt, children's entertainement and music evenings. Les passionnés de ce petit village du Nebbio font revivre chaque année à la même époque, cette technique ancestrale de battage du blé. A l'aide de boeufs tractant une lourde pierre, ils séparent ainsi le grain de l'épi. In the small village of Nebbio revives each year at the same time (mid July), this ancient technique of wheat threshing. With the help of oxen pulling a heavy stone, the chaff is seperated from wheat. Destination hazelnut: a gastronomic, cultural and musical event based on the promotion of hazelnuts in the village of Cervione. Les deux journées "destination noisette" se veulent être la vitrine de la filière. Elles s'inscrivent de fait pour soutenir l'objet même de l'association organisatrice, c'est à dire la mise en oeuvre d'actions pour la culture, la promotion et la valorisation de la noiseraie et de la noisette sous l'appellation unique "noisettes de Cervioni". Il s'agit en effet de resituer cette culture dans son contexte historique et contemporain et de dynamiser toutes les qualités gustatives et énergétiques du petit fruit sec. Durant ces deux journées on peut retrouver tous les acteurs de la promotion de la noisette corse (cultivateurs, commerçants, artisans d'art, chefs cuisiniers ...) ainsi que des animations diverses (groupes folkloriques, chants corses, spectacles de rue, expositions...). Pilgrimage of Notre Dame des Neiges (Our Lady of the Snows) in a magnificent pine forest at the foot of the famous "Aiguilles de Bavella", 10 kilometers from the village of Zonza. The Lama film festival: cultural event on the theme of rural life. Tel: 04 95 48 21 05. Music festival at Erbalunga: variety, jazz and guitares in the little village at Cap Corse. As well as the religious ceremonies associated with the assomption, Ajaccio celebrates its links with Napoleon Bonaparte. Grand procession, parade, spectacles in period dress, ceremonies commemorating the anniversary of the birth of Napoleon I and a pyrotechnic symphony over the bay of Ajaccio. Les Journées Napoléoniennes plongent les amateurs dans une ambiance proprement impériale. Défilés et parades, bien sûr, mais aussi un spectacle place du Diamant. Craft and painting exhibitions, cookery competitions, concerts and children's entertainment are organised in the natural setting of the village of Aregno, with the fair's central theme of almonds also providing the subject for two conferences. Craft fair: sale, tasting and demonstration of quality foods and craft wares. Musical entertainement and evening dance. Ascent of the Mont San Petrone, with mass celebrated at the top of the mountain. The Tavagna music festival is organised jointly by five villages (Peru Casevecchje, Velone-Olmeto, Taglio Isolaccia, Poggio-Mezzana and Talasani) in the Tavagna microregion. The cosmopolitan programme includes evening performances by artistes from a variety of countries, and offers a successful blend of modern and traditional music. Although originally a pastoral tradition, the Niolu fair now hosts many craft stalls. 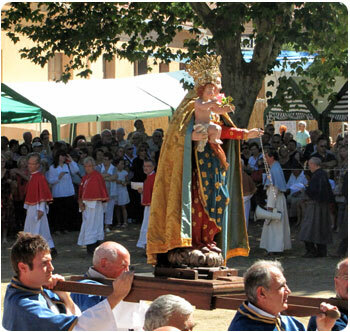 This is a major meeting for Corsicans, in particular because of its religious nature(being held on the feast of Santa di U Niolu). The fair is among the island's oldest. 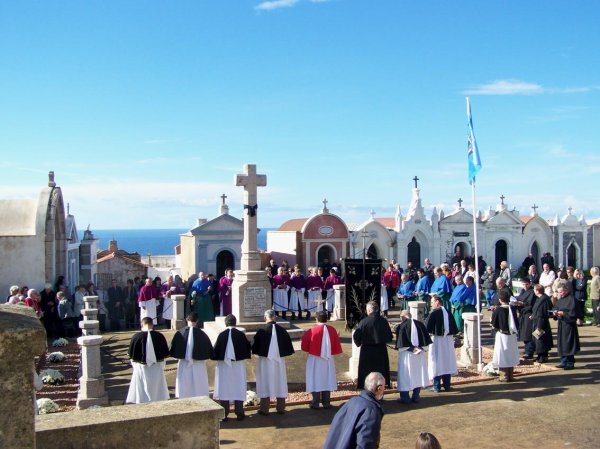 Celebration of the " Santa di U Niolu ". Mass with traditional hymns. This fair gives place to cultural and traditional meetings in which take part, in abstract manner, groups and singers, famous or anonymous as well as lots of undiscoverd talent. Mary the Virgin appeared at the end of the 18th century, near this village, situated in the heart of the Haute Corse, in southern Castagniccia, between Corté and Aléria, after the Corsican people had elected her as their "Queen of Corsica" in 1736. Like Bernadette in Lourdes, a little girl saw God's mother there. Yearly mess on the 5th of august. Festival of Our Lady. Stuffed aubergines" à la Bonifacienne" are prepared for this religious festival and handed out to those attending the ceremony. Water is Corsica's most precious resource, both in terms of its diversity (with the sea, lakes and rivers). Therefore it is only natural to hold a festival- the "Festi Acqua"- in its honour. The programme features conferences, exhibitions, concerts and street entertainement creating areal festival atmosphere. This craft fair promotes the local economy through the various exhibitors. Corsica's polyphonic singing is one of the island's most popular cultural traditions. This festival has grown into one of the island's major events, where artistic expression provides a channel for us to celebrate the infinite diversity of our identities. 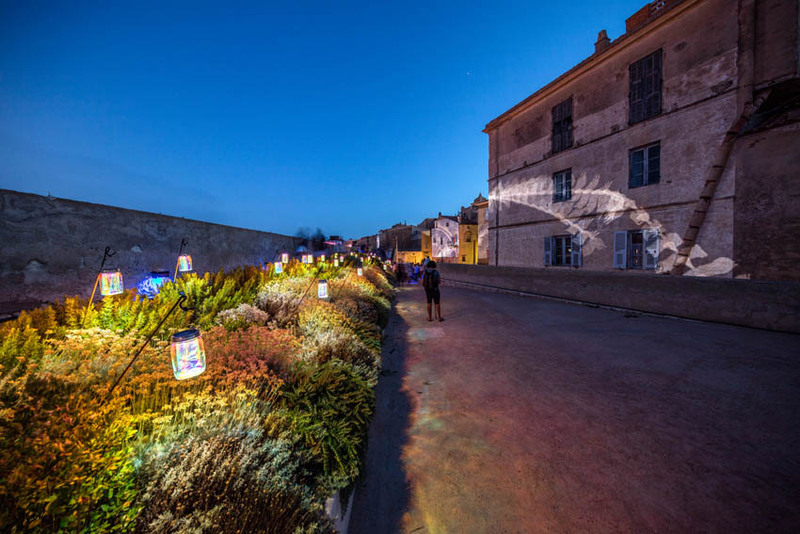 For five days each year, polyphonic ensembles from all over the world(including Mongols, Inuits, Tibetans, South Africans, Cubans, Sardinians, etc..) perform in the heart of Calvi's Citadel. The various performances are held in the St Jean-Baptiste Cathedral, the Saint Antoine Oratory and the Place d'Armes. This fair encourages visitors to discover the local specialities and in particular Corsican honey, which has now obtained "Appellation d'Origine Contrôlée" status. Corsican honey: Take a taste! Result of an ancestral know-how, endemic vegetation and a specific bee, on the island honey is a typical product on the same level as meat or cheese. It was one of the first products of the Corsican gastronomy to receive the AOC in 1998 and AOP in 2000. With six amber shades and six subtle flavors, from mild to bitter, sometimes delicate and sometimes persistent, Corsican honey 'Miel de Corse-Mele di Corsica has the advantage of knowing to please all and to seduce even the least fan of honey. The "Musicales of Bastia" festival gives pride of place to the songs and music of the deep south. Every strand of southern music is represented, from baroque to world music, jazz and blues, and of course singing. Prestigious performers, surprising meetings, budding talents, unsual performances and Corsican creations always feature heavily. "Mare in Festa" clôture la saison estivale en beauté. premier weekend en octobre. This event is organised in recognition of the apple and its special qualities, with two days of discoveries, relaxation and tasting. Visitors are encouraged to 'sink their teeth into'the natural apple juice, apple jelly, fruit confetionery, jams and dried fruits. The finest charcuterie produced in the Prunelli Valley and Craft displays also feature at the festival. 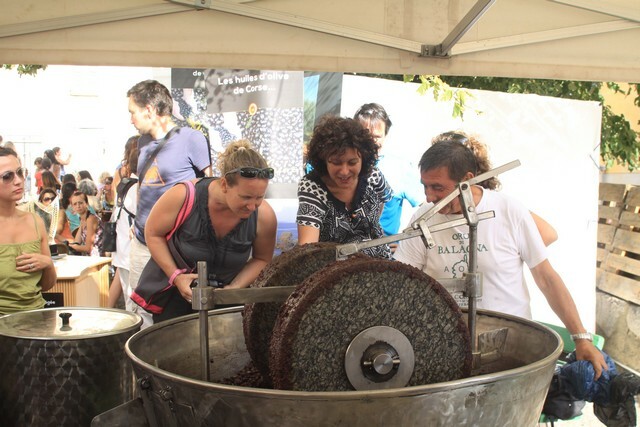 To promote the products of the chesnuts economy, such is the objective of the organizers of this demonstration whose spearhead is the chestnut of Evisa " Insitina " varieties of chestnut offering the characteristic, in addition to its distinctive value, not to present any bulk-heading. In addition the mushroom is associated with this festival. Rappelons que lors de la cunsulta d'Orezza du 30 janvier 1935, les patriotes corses avaient placé l'île sous la protection de la vierge Marie. Ils décrétaient également que le 8 décembre, jour de l'Immaculée conception, est considéré comme fête nationale et que le Diu vi salvi Regina soit l'hymne de la nation Corse. The chestnut fair is considered to be Corsica's largest regional fair. The chestnut and its different uses are honoured on this occasion, and there is a regional chestnut flour contest. Foyer rural de Bucugnà "U Castagnu"
la Fiera di a Castagna est la vitrine d'une production agricole et artisanale de qualité issue de tous les territoires ruraux de Corse, elle reste innovante dans leur valorisation. En effet, la crêation de la filière châtaigne, la présentation d'outils nouveaux tels que séchoirs à air chaud, moulins et depuis quelques années la multiplication de plant de chàtaigniers de variétés locales et leur vente sur le champs de foire, initiative dans le principe reprise par a Festa di u ficu, a Fiera di l'Amandulu, et le groupement des producteurs de châtaignes dans leur démarche de reboisement en sont la preuve.